Some couple weeks ago, Angie at Creative Inkspirations posted her desk shot and said that she was intending to re-visit a couple of the Creative Chemistry lessons that Tim Holtz had published. 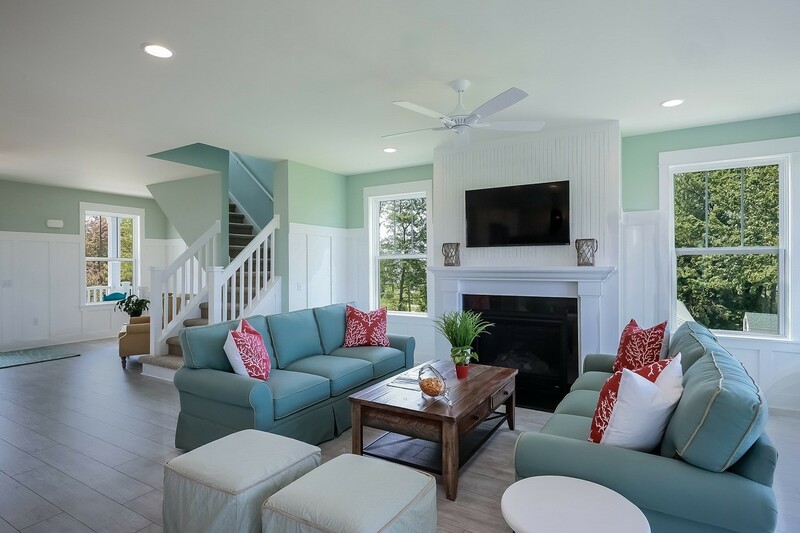 Her reasons were sound - at the time, she didn't own what was needed from the enormous TH inventory, and now in some of those cases, she does, and would like to re-visit. Fab. Love a woman with a plan! It made me think hard about my stash, which has been the subject of lots of thought recently. Back in the days when my entire collection including card blanks and heat gun, fitted in a shoe box, I think I was definitely more creative. I used waste cardboard for mounts, I cut up coke cans for soft metal embossing. I didn't assume there was a product (as I do now) to ease my making of the next great idea, because even if there was a product, I simply didn't have access to it. Don't freak...I actually made a card without putting words on the front....! This card is a great example. It's made entirely from die cuts. Well, back then, I'd have drawn a template and hand cut the pennants. But the floral corners used...hmm. I'd have come up with something else, probably small buttons as they seemed to have a large place in my stash at some point! Nowadays, without access to a die and cutter, I'm not sure I'd bother to make a card like this: it seems a lot of work for the apparently simple effect. Even the old crank handle die cutters are being usurped now - as you know, I'm a recent Scan'n'Cut owner and so it takes even less time to churn out a handful of pennant shapes. My stash would need to be housed in very many shoe boxes these days and I am grateful for the range and beauty of it all. Since I've been involved in helping to break up my late friend Mary's collection, I have realised that I won far too much and that I need to reign myself in. Having said that, it turns out that I won't win a prize for having the most stash, and that makes me comfortable! What I think I really need is to use enough up (without replacing it) to drop me into the category of not quite having enough again. That will make me more inventive. Or whiney. Taken on Tuesday early evening and untouched since! In the spirit of using stuff up and using it in a useful way, I've finished a really nice pad of papers by making a couple of concertina fold out mini albums. They will make good gifts. 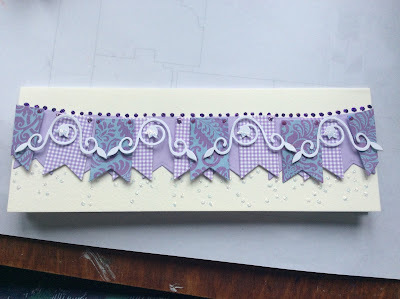 The pattern I used from Anna Komenda on You Tube is very simple, and to create a decent amount of room for photos and embellishments, she scores a 'gutter' between folds. the patterned papers are stuck back to back which reveals the plain white gutters, so I decided to pearl them up. And here they are, being given adequate drying time for once. Dang I'm so impatient, doing this sort of thing really kills me! These mini albums aren't nearly as messy to make as they are to embellish, so for now, my desk looks uncluttered. For now gentle Desker. Do not fret, I will photograph the shambles that is to come! Please share what you're working on so that the likes of me can come round and copy. Put WOYWW in your blog post title and link here. Lovely. Please note that I'm on the cusp of going away. I may not be allowed as much internet access as I want. We'll see. You can tell I'm nearly ready..the fridge is stacked with the sort of food we never eat. Student house sitters. I think it may cost me more than my actual holiday! 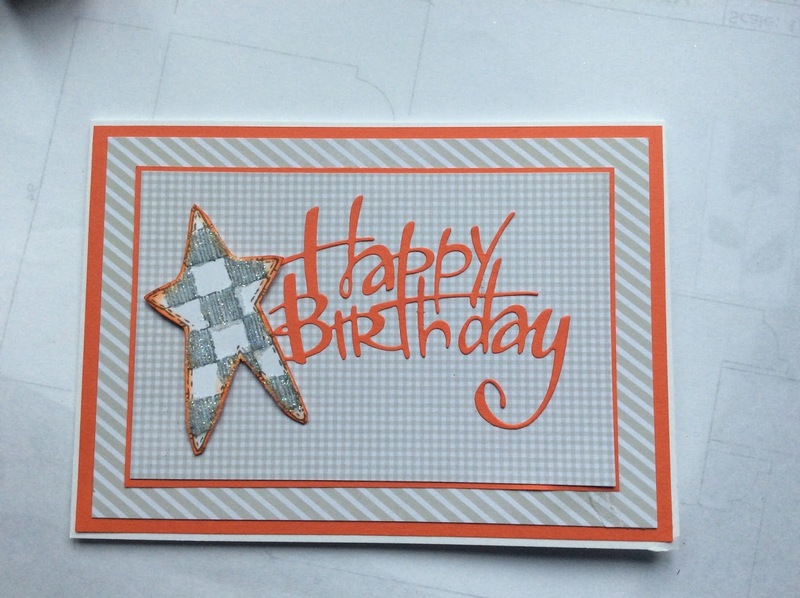 Sally (Ohhh Snap) was talking about her love of heat embossing on WOYWW 463. I don't need to be reminded about it either; it's a technique I still use, at least once or twice a week for some card or other. For me, it all started back in 1995. My sweet Sissy and her family had emigrated to California. Well, moved to California for reasons of work. None of us knew then that it would become an emigration. We may not have let them go so easily, I can tell you. It's a long way. I digress, already. Anyway, that Easter, Steph sent us a lovely card with coloured eggs, and some beautifully shiny gold text. It was, for you stamp historians, a PSX stamp that she'd embossed in gold. I couldn't believe it when she said she'd made it! At the time I worked in print and knew the technique as 'thermography'. I was fairly confident that it couldn't be done without a large press and certainly not at my kitchen table. When we visited them later that year, I was desperate to see how it was done, and I spent some time playing with Steph's stash. Her collection was relatively small as she was new to it herself. She took me to her friend's house. Her friend was selling stamping stuff from her garage in anticipation of having a shop. We were on a real budget in those days and I well remember the agony of trying not to spend too much. I bought 3 stamps, a multi-coloured dye inkpad, a small pigment ink pad a pot of clear powder. When we came home, I stamped alone with my three stamps and tried everything I could to locate more in this country. When I could, I bought them from America, over the fairly new fangled internet thingy. Amazing that these first few stamps would set me off onto the road of being a craft shopkeeper and then this blog, and all these years later, I'm still loving the near instant gratification and all the innovations that have occurred in card making and paper crafting since. I think this is also why my loyalty is still to wood mounted stamps...you never quite get over your first love, huh! Would love to know how you drifted into it all and so eventually found your way to reading this! Use it and create scraps. It's a real conundrum isn't it. You use a couple of sheets of 12 x12 to make a nice scrapbook layout, but you're left with a sizeable piece of 'scrap'. The more you do, the more you generate. Ack. I don't have a rule about minimum sizes to keep. Although having said that, I suppose I do, actually. If it's plain cardstock, unless it's tiny, I do keep it. Stamp a sentiment on it, test a pen, test a sponge effect..pieces of card are useful for that sort of thing. If it's scrapbook paper, it has to be a least the size of a card blank before I give it room in the scraps box. Because I have to be able to use it for something, and any less a size doesn't give me 'cut it and try it' room. I made these cards for a workshop, and they are made from scraps. And what's more, I intend to make the kits up from scraps too, it would I feel be a shame to have to break into fresh scrapbook papers to make them. Of course the card bases and mounts aren't scraps, but that's OK, am much more interested in using and encouraging the use of patterned scraps because they build up so fast! I don't know if you can see, but this card not only uses up old scrapbook paper, it features some coloured wire as well. Gracious, there's an embellishment I don't use often anymore. I did, when it was 'on trend'! I'm happy with these. Unlike the scrapbook embellishments that I get to keep. this time I've got a handful less stash and scrap but some nice cards to send when an occasion calls. 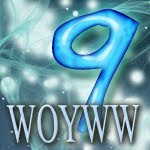 Desk week 468 on 26 May will be the ninth, 9th, NINTH anniversary of WOYWW. EDITOR’S NOTE: Kelly tells me it will be the 23 May. correctly. Good grief, you should thank her, she just single handedly reclaimed 3 days of your life! You know how much it means to me, and I hope if it means something for you too, that you'll join the anniversary circle and play PIF. Pass It Forward. It means making an ATC which features the acronym or the number 9 somewhere on it and sending/delivering it to the person who posts immediately after you on the WOYWW 468 link list. Lots of us make more than the one and invite other Deskers to swap with them as well. It's actually quite fun, and prompts a nice run of happy post! The only stipulation for entry is that you have 'the one' ATC ready to post on the day. It's not hard, but nor is it obligatory; there is no need to explain why you cannot or do not want to take part, it is entirely up to you. I've posted a step by step 'how to' page accessible at the top of this blog. 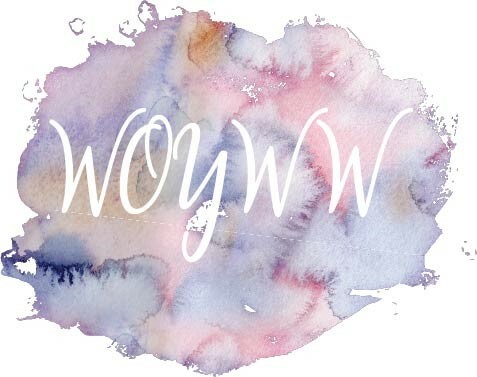 Meanwhile good reader, link your WOYWW post here and visit each other...you may find it's not just me that seems to be making little cards! There is a page on this blog called ATCs. It's about making ATCs for the next WOYWW anniversary, and as that's ridiculously soon, I've updated the page so that it reflects this year's activity. I'll remind you again next week. Miss Dunnit doing her thing, making her voice count...walking the walk. Use it or erm, hoard it. You know don't you that I have a large stash of everything. I am making a really strong, focussed attempt at using it. recently I've tried to stay inspired by doing a couple of challenges here and there and to try to keep something 'in progress' on my desk to encourage me to return when I have half an hour or so, rather than waiting till I can have a binge session! To that end, meet Miss Dunnit and her Father in the very cold of a March trip to Euro Disney. For that's what it was called in 1996 when we went! Now it's Disneyland Paris. I don't expect it's ever been so cold. The child is wearing my gloves over a pair of socks on her little hands. The fountains were frozen. But she loved it. So I scrapped an old photo on some slightly younger paper and used scraps and bits that I've had for quite a long time. That paper border is carefully glued together in two places because ot just about fell apart when I lifted it from the bottom of a box of paper frames and borders that I've ignored for absolutely ages. The pink skeleton leaf is probably as old as the photo! And who remembers the use of buckles! The silver No3 and sticker at left of it were both the last on their respective sheets. How very satisfying. There's a fabric covered brad and an epoxy brad....we don't mention those too often now! It's not the best photo, or indeed the best LO, but it raises a double smile for me. The memories attached to the pic and the memories attached to the embellishments. And as with all scrapbook pages, I can keep them all. Used and hoarded. Now there's a thing! Well, it's busy with non work stuff. Nicer than last week then. Actually its a bit of a mess of push back. I was making a scrapbook LO over the weekend and had decided to only use old stash. As you can see pink skeleton leaves and fabric brads, you can safely surmise that it really wasn't too difficult! The matted but not 'topped' card is awaiting a flash of inspiration. And a bit more glue by the looks of things. It's for a workshop next week, so am setting myself a deadline for finishing it - I want to deliver them to Shopkeeper Gal by lunchtime today! Only one pair of glasses but a couple of pairs of scissors, going well on that score! The photos on the deckchair are awaiting my scrapbook muse. I keep 4 or 5 there on a rolling basis, it reminds me not to wait for a Crop! If I wait for a once a month crop, I shall have to stop taking photos today and still live till I'm about nine hundred to get them all scrapped! Meanwhile, talking of photos, I've put a first wave of stamps for sale over on Loved, Used and now Forsaken. Please cast your eyes in that direction! After all that, please join us in sharing your desk today, as always, post with a WOYWW title on your blog, and link here. Seriously, thank you! Seriously, did you ever think that sharing a photo of your workspace would allow you the chance to meet fellow crafty bloggers? Well, the WOYWW Crop is one way. And now, there's another. Donna moved to France a couple of years ago. That fulfilled part of her life plan. She and her very significant Monsieur (see what I did there) have laboured and toiled and renovated and rebuilt and built and gardened and well, worked. Now Donna is offering us the chance to be guinea pigs for her long planned art and craft retreats. Oh my word. Now, I cannot afford to give this to you for free but nor would I profit from a woyww event, so the proposition is this: Arrive Thursday evening for dinner and depart Sunday afternoon following lunch: we will be able to accommodate approx 12 people on site - providing you are willing to share bedrooms and bathrooms, and, because its like youth hosteling, I would not charge for on site accommodation (I can provide a list of local B&B's to those that prefer to pay and have privacy). As on site sleeping and hot water bathrooms are free - we expect you to sort out your own bed linens and towels or pay a small fee for using ours. We will provide full board, we will accommodate dietary allergies (for those that can result in anaphylaxis I expect you to show me where you stash your EPI pen) we will also put in the effort to provide a range of meals that meet any of your lifestyle choices: you will be charged for all meals taken with us on site at cost price which will be itemised and payable in cash euros before you leave. Use of craft supplies and space - free - you can bring your own, but will not need to and your supplies cannot be mixed with mine and will have to stay in your own allocated space/locker to avoid loss/damage/theft... Wine beer tea coffee bottled water and soft drinks will be charged as per your consumption... via a simple labelling and honesty system (think super sized mini bar without the inflated prices) - again payable before you leave. 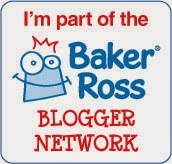 There is more information on Donna's blog, under the tab 'New Events'. Here is a direct link. Donna's Brittany Retreat Information. It's at the end of September, so it's time to start locking in some plans. I can't tell you how much fun it will be. Not too hot and beautiful historic France to look at whilst creating and enjoying. I don't know what 'Guinea Pig' is in French, but me and that Mr Dunnit, we're shopping for berets! I don't know if any of you ever knew; and if you did know you'd be forgiven for not remembering....I have a second blog which I use to sell used stash. Well, as a lot of you will know, I'm involved in the clearance of my late friend Mary's crafty stash and I've put some of it on the Loved, Used and Now Forsaken blog.There will be more, but it's quite a job! 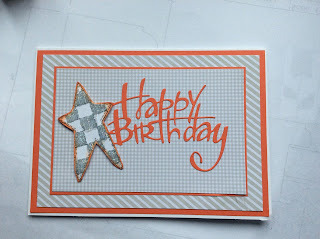 No blog post is complete without a picture, so here are a couple of cards I made using Mary's stamps for a workshop we held on her birthday. The first stuff I've uploaded to www.forsakenstash.blogspot.com is a collection of dies. The rubber stamps will start to go up soon. they are all wood mounted and am considering asking permission to unmount them for postal and storage reasons! Not a lot. Well, stacks of paper that herald a month end in business terms rather than in fun terms, which makes it a view not worth sharing, frankly. Ergh. Still, I hope it'll all be over by lunchtime. So to make it worthwhile, today's a twofer day! Some good news; I finished the LO that was on my desk last week. With the aid of a mini crème egg (bottom right), or two. You know how sugar excites the mojo! We have a family birthday today, which necessitates a lunch time outing which will be a lovely treat. Trouble is, proper food at lunchtime makes me want to sleep it off! Make my afternoon entertaining and wakeful then will you? Show and tell about your desks. As always, post on your blog with WOYWW as a title and link here. You're so co-operative.